Championship Game Tonight!! Lavaca looking to clean Sweep the Top Spots. The Junior boys were up next, matched up against the JC Westside Junior Rebels. With JC Westside hosting the tournament, The Junior Rebels were playing in font of their home crowd. Westside boys beat Magazine to face off against the number one seeded Lavaca team. The Junior Arrows were once again stellar winning 57-34. Coach Reed said, “We played really hard in the semifinal game and faced some adversity. We got ourselves in foul trouble and early we missed layups. I though we had a couple of guys step up like Kolby Glidewell by attacking the rim and Garrett Dorsey playing well defensively off the bench. When Drake, Avery, and Luke returned to the game they did a great job of finishing the game. Tonight will be a tough battle. Hackett is the biggest Jr. High team we faced this year. So, our ‘help’ defense will be important. It will be a highly intense game and the last one for both teams. It should be a lot of fun!” Next up for the Junior Arrows is Hackett. The last time these two teams met the Arrows pulled off a close win , 39-34. There is no doubt Hackett is hoping to even the score. However, the Junior Arrows will look to once again Sting the Hornets. Out of seven schools to play in the District tournament, only Lavaca has both boys and girls remaining. This is a great testament to the schools basketball program and their coaching staff; Coach Reed and Coach Graves for the boys, Coach Wyles and Coach Vire for the girls. These coaches have not only been able to teach skill sets but also instill the confidence that is necessary for an athlete to meet their full potential. Often this type of article revolves around the players, as it should, but these coaches deserve a great amount credit for helping develop these kids. 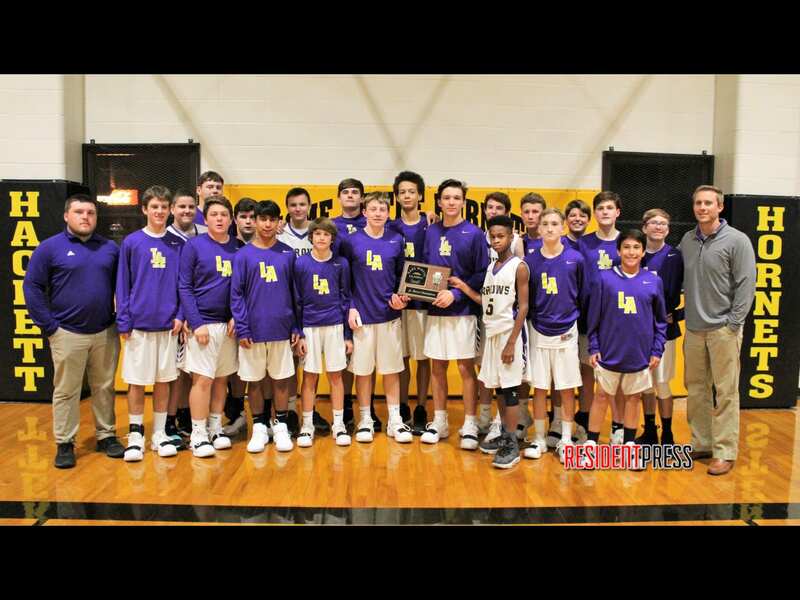 Lavaca should be proud of both the kids and their coaches. The Junior Lady Arrows will take the court at 6pm and the boys will tip off at 7:30. Both of these games will be billed as “best vs best” in that the four remaining teams have lead the conference all season and earned the top spots in the Tournament. You wont want to miss this evenings event! !.